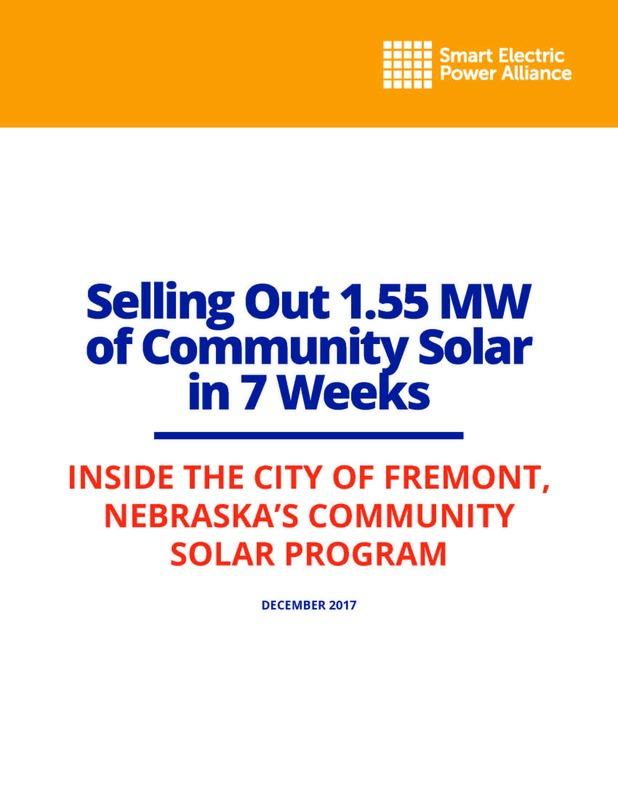 Based on multiple interviews with citizens of Fremont, Nebraska, this case study describes how program design and a latent demand for solar power led to selling out the 1.5 MW solar farm in seven weeks. This case study also includes insight into the commercial and industrial demand in small town Nebraska. 2000-2019 Smart Electric Power Alliance. All Rights Reserved.